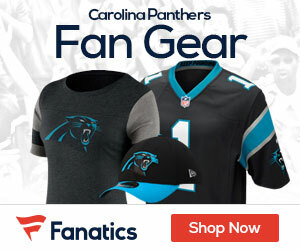 In what could be a big blow for the Panthers, DT Ron Edwards is likely out for the entire season after suffering a torn triceps muscle in training camp, the Gaston Gazette reported Friday. Along with Edwards, rookie offensive lineman Zack Williams has a torn anterior cruciate ligament. He is expected to have surgery and miss the season. Both injuries occurred during Thursday’s practice. Carolina spokesman Charlie Dayton said Friday that coach Ron Rivera will address the injuries after the team’s FanFest at Bank of America Stadium in Charlotte, N.C., on Saturday. Edwards was a free agent from the Kansas City Chiefs who signed a three-year deal worth $8.25 million with the Panthers last week. He has spent 10 years in the NFL, the last five with the Chiefs, with 192 career tackles and 15½ sacks. Williams was a sixth-round draft pick this spring from Washington State.